GOOOOONG—with a wave from the conductor, the house curtain whisks away and a magical scene opens to the audience. This is the special moment when the dancers and the audience see each other for the first time. It’s calm, but pulsing with energy. In the orchestra pit the violins swell, and I breathe in deep to fill my lungs in time with them. As the music crescendos and peaks, SWOOSH, I cast double rainbows of silk into the sky. Shimmery and flowing, my trusty ribbons are a credit to the silk they’re made of. With a few flicks of my wrists, twenty-foot loop-de-loops and figure eights are spiraling on the stage. Then as I exit into the wings, the long silk ribbons billow in my wake. And I watch most satisfyingly as they trail smoothly in the twirling path I guide them through. In the 2018 season, I was one of the silk ribbon-wielding fairies in the opening piece—From Heaven to Save All. 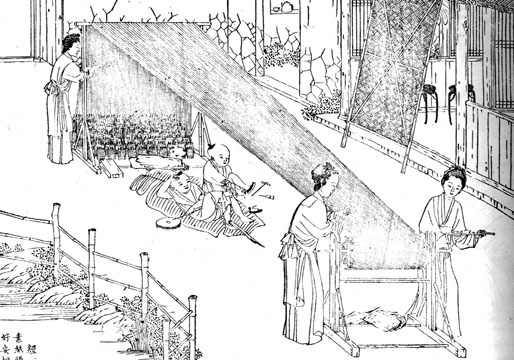 Speaking of silk, did you know that the history of silk is almost as old as Chinese civilization itself? One breezy afternoon around 3000 B.C.E., Empress Leizu, consort to the great Yellow Emperor, sat down for a cup of tea in her garden. Under the shade of a mulberry tree, she lifted the cup to her lips when—plink—a small object dropped (narrowly missing her royal nose) into her drink. The empress lowered her cup in surprise. A moth’s cocoon, hard, oblong, and pasty white in color, had fallen from the swaying mulberry branches overhead. With royal composure, she plucked the blob from her tea and was about to cast it aside when she noticed it was curiously soft. The cocoon was not encased in a hard shell but in a sort of fiber, which a quick soak in her hot tea had further softened. Pulling on a loose strand, Leizu unraveled it until it stretched the length of her garden, over 600 meters. Intrigued, she gathered more cocoons from the tree to unravel, and worked the strands into cloth. When she finished, she had woven a soft and shimmery fabric that was cool to the touch. Excited by her discovery, the empress didn’t stop there. She studied the worms that produced the cocoons and noticed that they ate nothing but mulberry leaves. 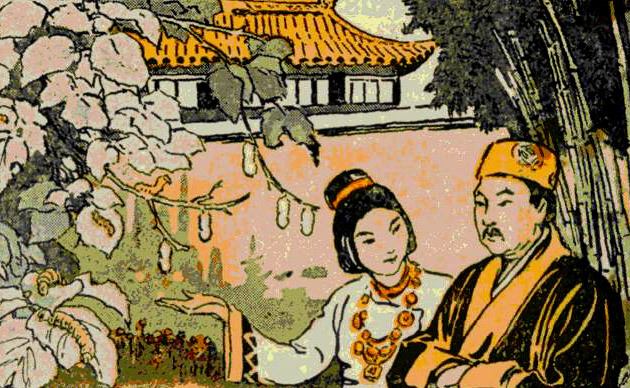 Leizu persuaded the Yellow Emperor to procure a grove of mulberry trees so she could domesticate these silkworms. She invented a reel to spin their cocoon fibers into thread, and a loom to weave into cloth. Then she passed on what she learned to her entourage, and the sericulture tradition was born. 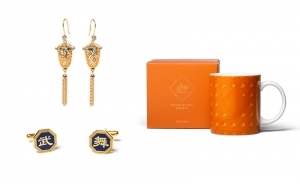 From a disrupted afternoon tea, the empress’ new discovery became intertwined with China’s next five thousand years of history. 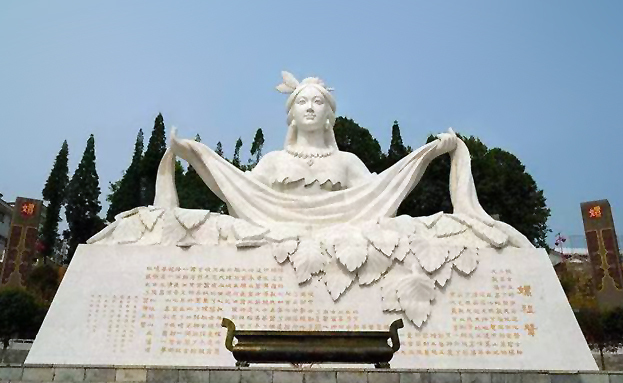 From then on, Leizu also became known as the goddess of silk. Silk was an instant hit. Soft but strong, light and elegant, silk is very adaptable and possesses many virtues that make it extremely valuable. It keeps you cool in the summer and warm in the winter. It wicks moisture. And dyed silk-woven items hold their color for centuries. In the first thousand years of its discovery, silk was produced exclusively for the emperor and his close relations or as gifts to dignitaries. In time, as silk production increased, other classes of society were allowed to own silk as well. However, specific colors, accessories, and motifs were exclusive to each social stratum and position. Yellow, for example, was reserved for the emperor. Men from different military ranks also sported different silk headpieces to distinguish themselves. Other than clothing and decoration, silk was used to make musical instruments, archery bowstrings, fishing lines, and the world’s first (luxury) paper. In fact, much ancient knowledge has been preserved and passed down through silk scrolls. 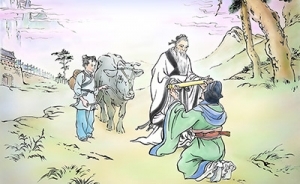 During the Han Dynasty (206 B.C.E.–220 C.E. ), silk could even be used as a type of currency in trade. Throughout the centuries in China’s silk-producing provinces, families of daughters, mothers, and grandmothers would tend to their silkworms for half the year, then harvest, unravel, spin, weave, dye, and embroider during the remaining months. 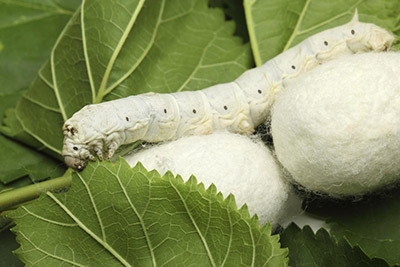 Since silkworms were endemic to China and kept a secret from outsiders, foreigners were clueless about how silk was made. But silk quickly became one of the most sought-after fabrics in the world, and many countries were extremely eager to trade for it. This rapid growth in popularity led to the rise of the Silk Road. Although silk products could pass beyond China’s borders, Chinese authorities forbade the secrets of sericulture from leaving the empire. Anyone caught smuggling silk moths or eggs was executed. After two thousand years of successful border security, however, sericultural knowledge began to trickle into Korea and India with immigrants. In 440 C.E., it reached beyond China's western border when a Chinese princess—dispatched to marry a tribal prince as part of diplomatic matrimony—stowed silkworms eggs inside her elaborate updo. Unfortunately for silk lovers in Europe, the tribal peoples also kept the secret among themselves. The West still had to wait. At last, in 550 C.E., two monks working for Justinian the Great made it home with the precious eggs hidden in their staffs, and the long-sought knowledge finally arrived in Byzantium. Before then, Romans used to believe that silk was harvested by “removing the down from leaves with the help of water” (Pliny’s Natural History). From there, sericulture gradually spread throughout Europe. 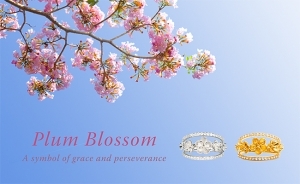 However, the ideals of the orient that lie within silk have never faded. Silk is timeless. 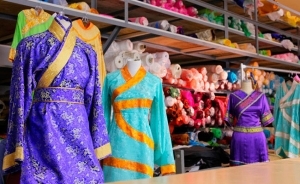 After five thousand years, silk has woven itself through China’s dynasties and made its way onto the Shen Yun stage. Thinking back to the last season, I can still feel my long silk water sleeves flowing gracefully around me as I dance in Han Dynasty Sleeves. A few quick-changes later, I’m in heavenly robes (and the inspiration for Tang Dynasty attire) amidst the clouds. 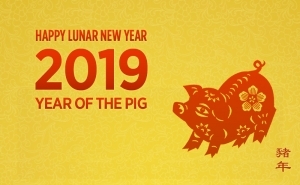 Fast-forward to the last millennium, and I’m a Manchurian princess of the Qing Dynasty, flitting my silk kerchief in play inside the palace gardens. And the show's not over yet. Today, silk is an international commodity, yet remains a symbol of the ancient Chinese civilization. But thousands of years ago, it all began with a cup of afternoon tea. Archaeologists have discovered a half-unraveled silkworm cocoon from 2600 B.C.E. Silk trade took place before the establishment of the Silk Road, and the earliest evidence of trade is an Egyptian mummy from 1070 B.C.E. wrapped in silk. 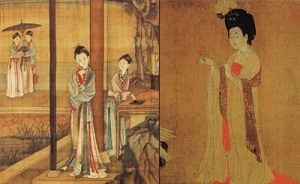 Peasants couldn't wear silk until the Qing Dynasty (1644–1911).